Great to pair with the SPIKE Fij-it 2-Pack (Sold Separately)! Spike can help you or your child focus, increase attention span and get things done at school and home. A great quiet substitution for other sensory toys that can be a distraction in the classroom and/or cause damage to clothes, school equipment and more. 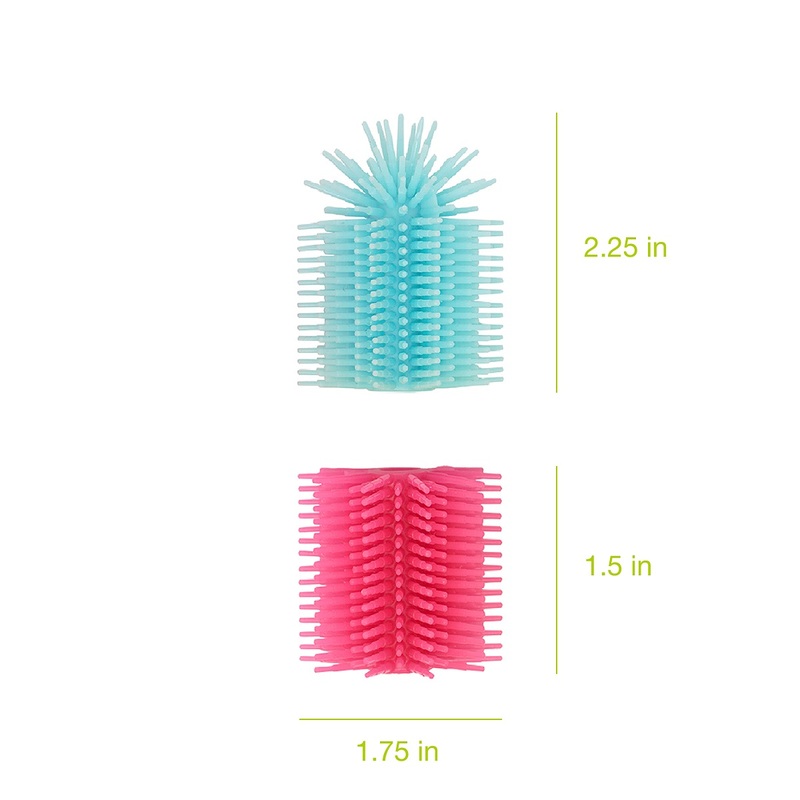 Spike’s durable soft spikes provide tactile stimulation as a tactile or sensory brush and are calming and therapeutic through sensory stimulation. Spike adds girth to the pencil making it easier fingers to comfortably grip and write with pencils, pens and more. Spike also adds weight to #2 pencil providing some more sensory feedback to the hand while writing. In turn, helping to strengthen fingers when writing. My son thought these were so fun and it helped keep him focused practicing his letters. He had a hard time holding them because his hands are so small (3 years old) but otherwise they were great. I think children a bit older would really love these even I can use them!